No visitor to Cuba can avoid the story of the revolution. The unlikely tale of an untrained and ill-equipped band of rebels taking on and triumphing over a corrupt regime which had had the full backing of the US, resonates in every part of the country. 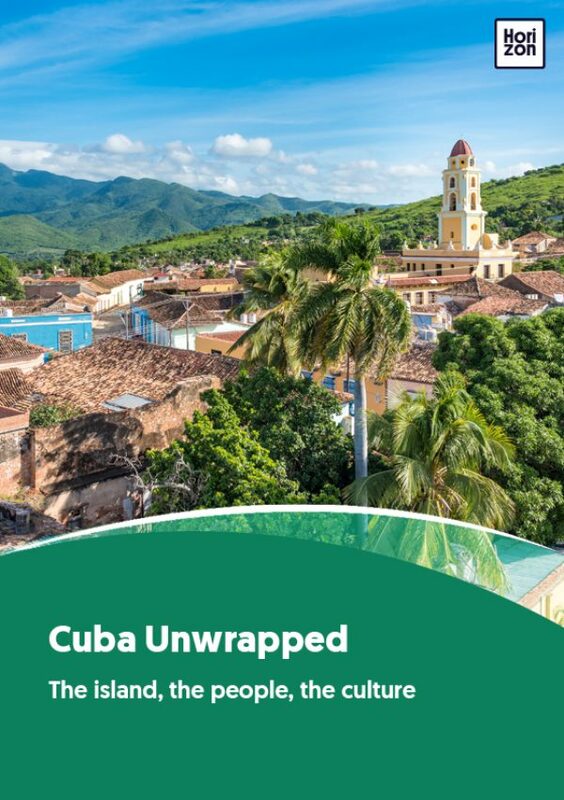 The story of a famous victory spearheaded by the charismatic Fidel Castro and Ernesto Ché Guevara is woven deeply into a fabric of Cuban life – you’ll find it in the place names and the museums and mausoleums. You’ll find it in the statues you’ll see, and the stories you’ll hear. It all started in 1952 when former Cuban president Fulgencio Batista seized power. It looked like he was about to lose elections, so he simply cancelled them. One young lawyer who was expecting to stand in those elections was Fidel Castro. Batista ran a deeply corrupt and repressive regime. He enriched himself and had close links to organised crime, while Cubans suffered and thousands of dissidents were executed. But he benefited from military and economic support from the US. Castro launched the revolution on July 26, 1953, with an attack on the Moncada Barracks in Santiago. The attack failed, many rebels and 19 soldiers died, and Fidel and his brother Raul were captured. Castro managed to use his trial to spotlight the illegality of the regime, saying famously: “La historia me absolverá (History will absolve me)”. Suddenly, he was a symbol of resistance and a hero to many of his countrymen and women. He was sentenced to 15 years, but was released in 1955 as Batista, under international pressure to reform, freed a number of political prisoners. The Castro brothers left for Mexico where they formed the 26th of July Movement. One of their new recruits was young Argentine doctor Ernesto Ché Guevara. These three were among a small band who headed back to Cuba to take the battle to Batista. It was November 1956, and there were just 82 of them on board a small yacht called the Granma. Outnumbered and outgunned they camped in the remote highlands, slowly gaining power, new members, and weapons. Other rebel groups joined in with the guerrilla tactics to deliver morale-sapping hits on the regime. Increasingly, government soldiers abandoned their units to change sides. By 1958 Castro’s forces were liberating more and more towns and villages and being welcomed by the inhabitants as heroes. The coup de grace came on December 30 at the city of Santa Clara (px) when Ché and his heavily outnumbered fighters managed to defeat Batista’s troops, and capture a haul of weapons. For Batista, the writing was on the wall. Within days he had gathered up his loot – hundreds of millions of dollars – and fled the country. The Castros quickly took charge of the country, clearing away whatever and whoever was left from the Batista regime. “War criminals” were tried and executed. Under their leadership Cuba became aligned with the Soviet Union which exacerbated tensions with the US and resulted in crises such as the Bay of Pigs invasion, the Cuban missile crisis, and the trade embargo. Portugal, which at the time was run by another dictator, Antonio Salazar, granted Batista asylum and he died in 1973. Ché Guevara left Cuba to join and lead other revolutionary movements but in Bolivia in 1967 he was captured and executed by government special forces. In 1997 his remains were rediscovered, brought to Santa Clara and housed in a specially-built mausoleum. Fidel Castro remained leader of Cuba until 2006 when ill-health forced him to step down, to be succeeded by his brother Raul. Fidel died on November 25, 2016, and was buried in Santiago de Cuba next to another Cuban hero, Jose Marti.